O’REILLY’S has announced a global partnership with Malaysian eco-lodge, Sukau Rainforest Lodge promoting sustainable tourism. The Global Eco Lodge (GEL) initiative will promote eco accredited travel accommodation and connect with the growing sustainable tourism audience worldwide. O'Reilly's Rainforest Retreat Managing Director Shane O’Reilly, believes the partnership will make sustainable tourism more accessible for nature lovers. “Our aim is to cross-promote our properties and grow the opportunities for our loyal guests to enjoy eco-friendly tourism worldwide”, Mr. O’Reilly said. “Guests are looking for unique and eco-friendly nature-based experiences, like birdwatching and bushwalking, that have low impact on our environment”. O’Reilly’s Rainforest Retreat is in World Heritage Listed Lamington National Park and ancient Gondwana Rainforest. 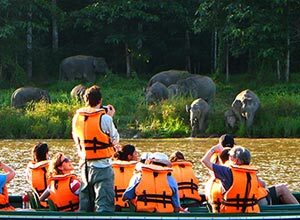 Sukau Rainforest Lodge is set on the banks of the Kinabatangan River, one of Borneo's most important wildlife sanctuary in Sabah, Malaysia. Sukau Rainforest Lodge’s owner and Sabah ecotourism pioneer, Albert Teo, believes GEL will help promote more eco-friendly travel. “It is important that we create awareness for sustainable tourism and provide options for the growing number of environmentally conscious travellers”, Mr Teo said. 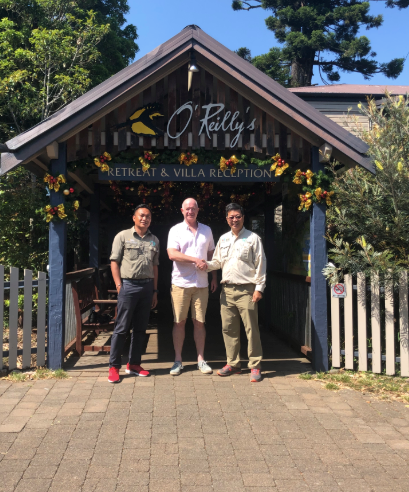 “GEL will start with O’Reilly’s and Sukau Rainforest Lodge but we will be reaching out to other eco-accredited accommodation to join the initiative”. The GEL website containing eco-accredited accommodation will be finalised in 2019. Tourism members must have a minimum of 5 years eco-accreditation and be privately owned to join the initiative. Nature lovers and eco-conscious travellers can find out more about GEL by emailing travel@gel.com.au to receive special accommodation rates and specials.